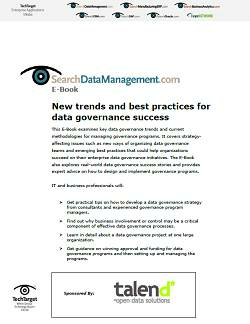 Data governance is all about managing data as a business asset and ensuring that data is accurate, consistent, integrated, timely, complete and secure. 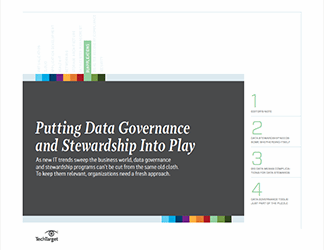 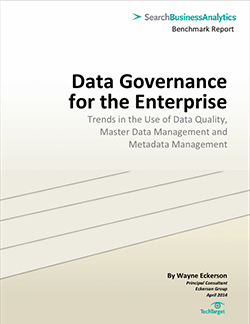 This report examines the market trends for implementing data governance. 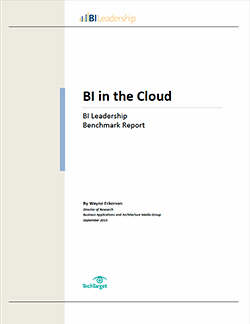 Based on data from a recent survey of 317 business intelligence professionals, IT professionals and consultants, this SearchBusinessAnalytics Benchmark Report analyzes the responses and provides trend information on the increasing executive acceptance of the importance of managing data as a corporate asset, the current status and types of data governance initiatives, data quality and data governance benefits.